Parents, players and friends come out to support Rockwall Water Polo on Monday night at Chili's. Cone out Wednesday night to watch Rockwall take on Southlake at our pool. Girls start at 7pm, boys at 7:45pm. Make it Home Pool Advantage! For the 10th year in a row, the Men’s Gymnastics team is the district champ!!! On to Regionals on April 15 and 16 at Highland Park. Your Yellowjacket Men’s Gymnastic team had a solid performance on night one of the district meet and are leading going into night two. Come out and support the team tonight at home as they try to take home the championship! The meet starts at 6:00. Skip work and get to Copeland Field on Mesquite at 4:30 to support your Jackets. Senior Captain Zane Larman helped lead the Jackets to a victory tonight over Heath with an impressive floor routine! Your Jacket Men’s Gymnastics team is back in action tonight starting at 6:00 at Heath for the Battle of the Rock. We will be honoring our seniors as well. Come support the team on their road to State! The totals for the Home Run Challenge sponsored by the Wendi Conley Team continues to earn the Jacket Backers more scholarship funds. Congratulations to Sam Bean and the Rockwall High School Lady Jackets Softball for another District Win! The Wendi Conley Team donates $50 for each home run by a Lady Jacket Softball Player. The Jacket Backer Booster Club is a non-profit association formed to maximize fundraising efforts for Rockwall High School sports, and other charitable activities that promote the development of good character, high morale, maximum effort, the highest standards of sportsmanship, competitive spirit, pride, and community service. It's a GREAT time to be a Jacket Backer!!! 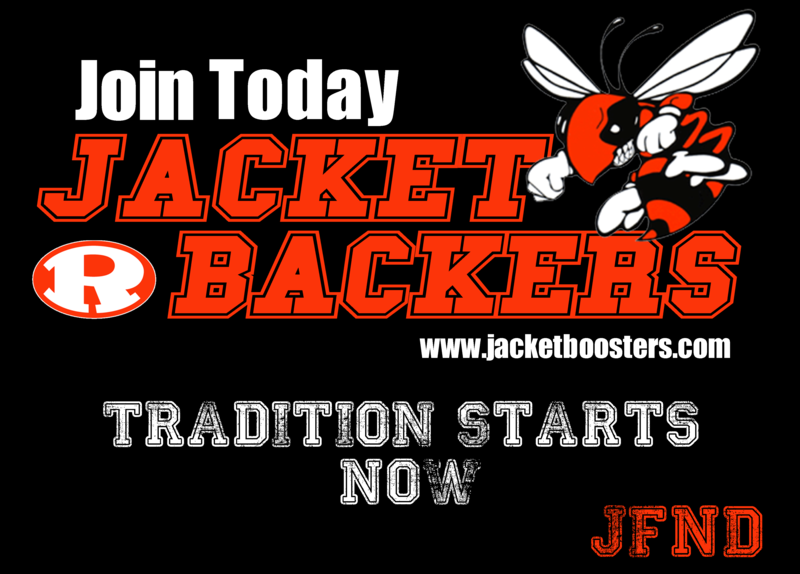 Jacket Backer Booster Club is a non-profit association formed for the purposes of raising funds for Rockwall amateur sports. Membership in Jacket Backers is open to interested adults eighteen years of age or older (non-RISD student), upon payment of yearly dues. All memberships are individual and are for a twelve-month term ending May of each school year. Thank you on behalf of Jacket Nation and the more than 800 student athletes participating 22 sports at Rockwall High School who call themselves Jackets or Lady Jackets. If you have additional questions please contact www.jacketboosters.com.